They are on our roads already, but their impact is yet to be felt. Whatever the details, there’s no doubt that the effects will be profound. Here are some of the ways the driverless revolution will transform transportation. Uber’s recent investment in artificial intelligence is a vital step in the realization of self-driving cars. With this technology vehicles can be routed more efficiently. Customers can receive deliveries anytime and anyplace at a lower cost. Driverless trucks can reduce emissions and operate more safely. Some analysts believe the global market for self-driving vehicles will be $51 billion by 2020. 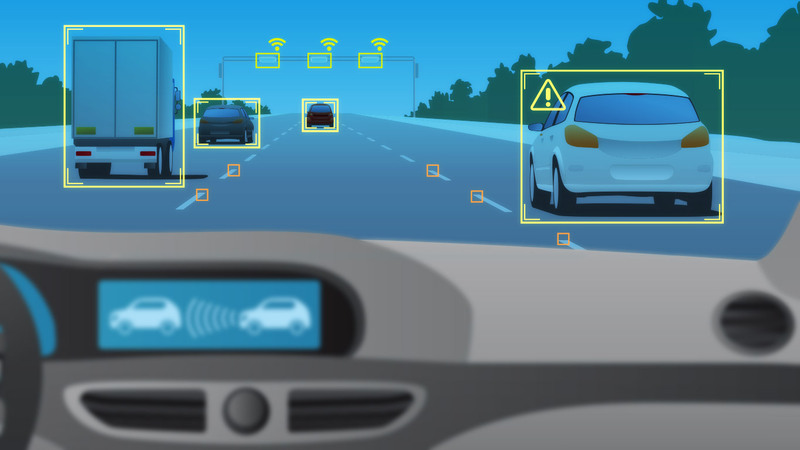 As companies such as Uber, Google, and Tesla continue to test and invest in self-driving technology, this reality of self-driving vehicles will be sooner than original predictions. What Impact Will Driverless Trucks and Cars Have? Initially, there is no limit on number of hours of operation as vehicles can be in use 24/7. This means a more efficient use of infrastructure. Anybody with a driverless vehicle can offer their vehicle up for services when it is not being used, similar to what Uber drivers are doing now. These vehicles can deliver people and packages with an unlimited supply of delivery capabilities. Delivery will be anytime and anywhere the customer wants to receive it. What does this mean to UPS and FEDex? Will Uber be our next brokerage industry? Talk about a disruptor. Driverless vehicles can deliver packages to USPS for delivery the next day. USPS can unload the packages at night and driverless vehicles can deliver packages to you to unload and drones can take the package from vehicles to front doors. Even more, with electric cars, you have no fuel charges. What’s Ahead for Driverless Trucking? Otto, recently purchased by Uber, is working on driverless trucking. Driverless trucking may be more eminent than driverless cars. Driverless trucks can solve many of the problems the trucking industry is currently experiencing. Truck driver shortages are expected to be roughly 48,000 this year. Turnover is another significant issue as the truckload driver turnover is estimated at 90%. Turnover is a result of time away from home, licensing, and regulatory requirements. Safety is also an issue driverless trucking can resolve as it will reduce the high number of traffic accidents. To top it all off, fuel efficiency will also be improved as the trucks will operate at the optimum efficiency for fuel consumption. Interstate driving is expected to be easier to get approval versus city driving; however, there are a lot more issues that the truck will encounter within city limits. Otto envisions a truck that will be driverless on the interstate and when it reaches a city, the truck will stop and let a driver onboard to do final deliveries. Truck platooning is expected to be the first step to driverless trucks. Truck platooning is linehaul trucks traveling in a tight convoy and is coordinated by vehicle-to-vehicle communications. The technology is being developed by Peloton Technology based in California and the West Australian government is currently funding fleet trials. The Australian Driverless Vehicle Initiative is partnering with Peloton to examine the potential efficiency and safety benefits with platooning. Investors in Peloton include UPS, Volvo, and Magna. Current limitations include cost and regulatory approvals. It is most likely the early adopters of the technology will be the current truckload carriers such as Swift, Schneider, and JB Hunt. These carriers will gain the most from the reduced costs. Initially there may be limitations on when and where driverless trucks can operate, i.e. during times when there is the least amount of traffic on the least traveled roads. What are the possibilities for the warehouse industry? If the costs to transport declines significantly, it will make sense to keep inventory close to production and only keep a limited supply close to the consumer. Smaller trucks may be used making more efficient use of trailer space. Does Uber have the capability to disrupt the transportation services industry, similar to its disruption of the Taxi industry? Research suggests the answer may be sooner than we think.